You're entering to win the wood turned sea urchin ornament pictured above, handmade by me. Youtube: You must be a subscriber and then simply leave a comment on the video where I announced the giveaway, RIGHT HERE. Twitter: You must be a follower and then retweet THIS TWEET that contains the photo above with the hashtag #chezlin2014xmas. Blog: Leave a comment down below. Don't forget to leave a valid email so I can contact you if you win! Anyone can enter, but if you're under 13 you'll need your parents permission. It's only necessary to enter through one of the methods listed above, but your name will appear in the pool for each entry method. Only one entry per method will be counted. That means if you enter through each one, your name will be in the pool three times! If you do not claim the prize within 48 hours of me getting in contact with you/announcing the winner it will reset and I'll draw another name. 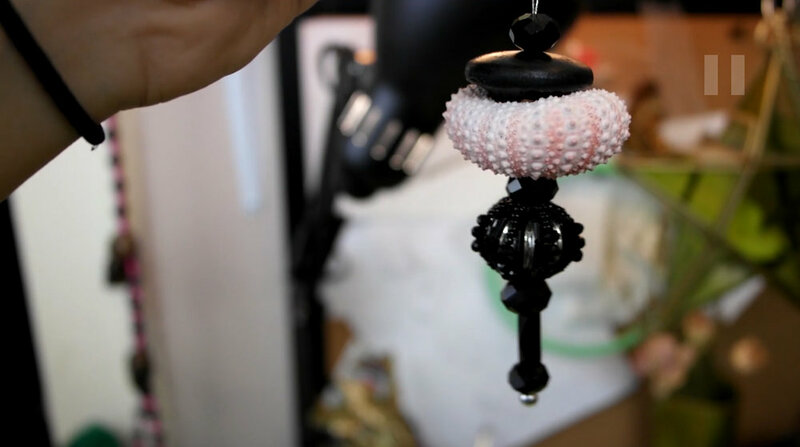 Yesterday I posted a video of me making an ornament with a sea urchin using a lathe to turn the parts for it. I realize not everyone has access to a lathe, so I decided to put together some sea urchin ornaments using materials that a lot of crafters would have but also would be easy to find at your local craft store. A little video summary will follow! I will be doing a giveaway for the wood turned ornament from yesterday, so if you're interested in that, click here for more information. I made two different kinds of ornaments. One using a drawer pull I bought at my local craft store, and one using beads. This is by far the easiest method. 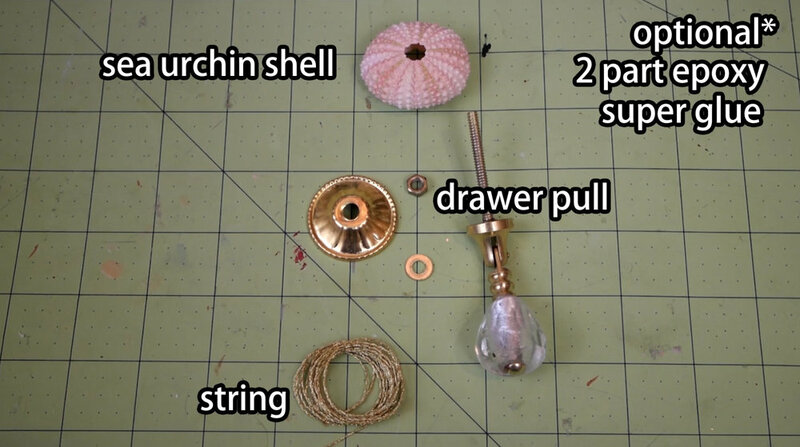 You're basically just screwing the drawer pull together around the urchin. Hover over or click on the photos for instructions. I hope you all enjoyed! If you have any comments or suggestions for future projects, please let me know! 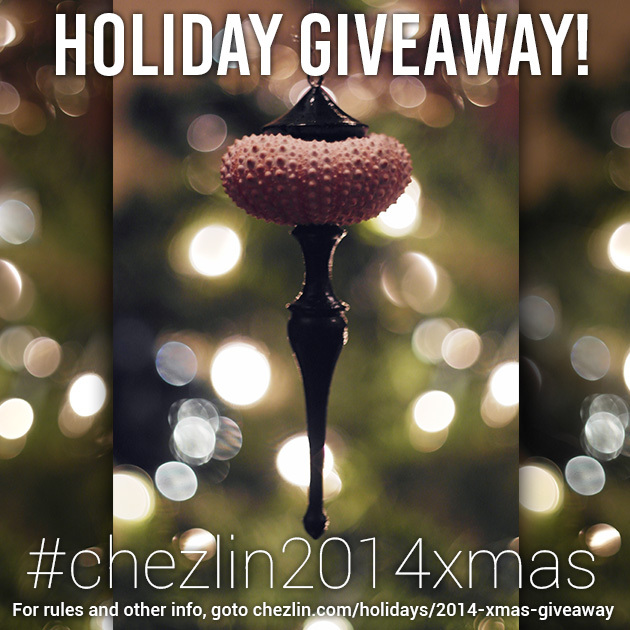 And don't forget to enter for your chance to win a wood turned sea urchin ornament made by me! A few months ago my husband bought a lathe, so I decided I'd learn how to use it. I've learned what I know from a combination of him teaching me and watching youtube videos so there might be some things I'm doing wrong or could do better. If anyone has any tips for me, please let me know! 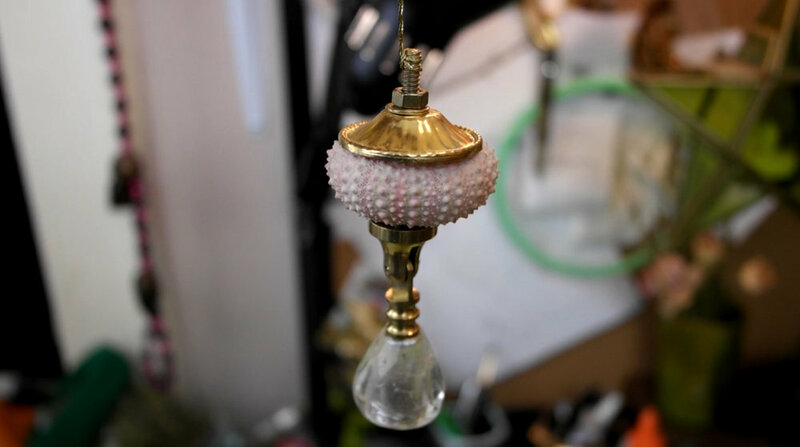 My most recent project on the lathe was a finial and topper for a sea urchin ornament. I decided to take video and share it with you all! This isn't a tutorial video or anything, but if you're interested in the other ornaments that make an appearance at the end, I'll be posting a tutorial for those tomorrow.